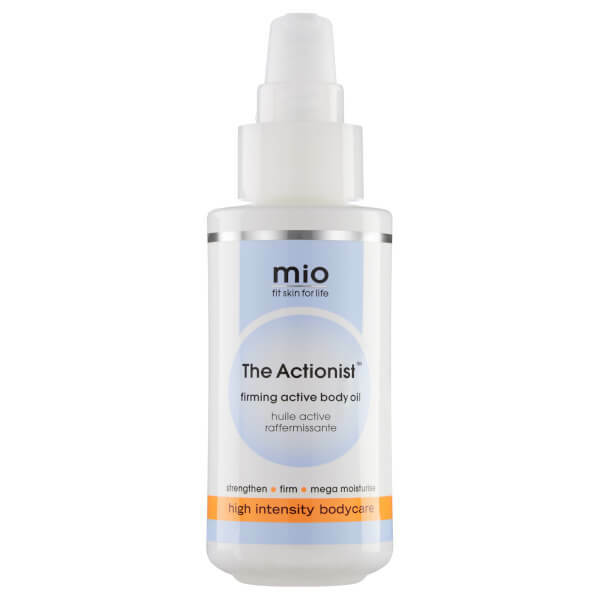 The Activist Firming Active Body Oil from Mio Skincare is a powerful, multi-purpose treatment that locks in moisture, enhances resilience and alleviates the appearance of scars and stretch marks. Rapidly absorbed, the silky formula combines an exquisite blend of organic essential oils including Almond, Argan and Coconut, rich in antioxidants and protein to help protect, nourish and soften. Superfood additions of Cranberry, Carrot and and Jojoba deliver a host of vitamins, helping tackle free radical damage and restore elasticity levels. 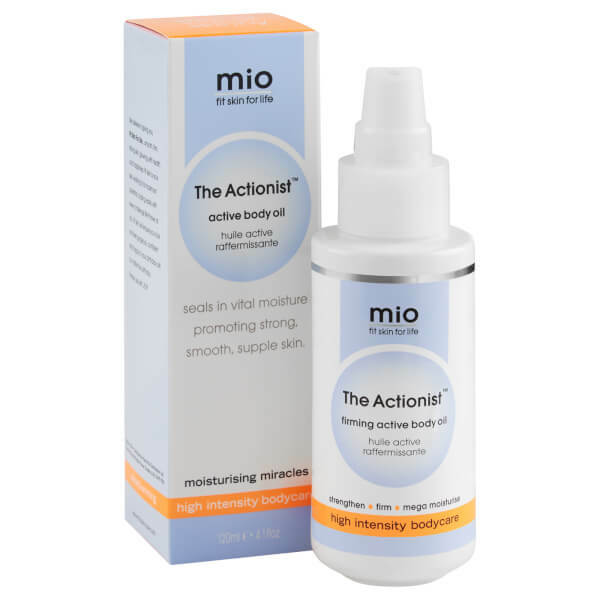 Skin is left feeling sumptuously soft and supple, with superior moisture levels and a gradual reduction in the look of uneven textures and tones including stretch marks. The only body oil you will ever need. Carthamus Tinctorius Seed Oil, Prunus Amygdalus Dulcis Oil, Simmondsia Chinensis Seed Oil, Cocos Nucifera Oil, Argania Spinosa Kernel Oil, Calendula Officinalis Flower Oil, Moringa Oleifera Seed Oil, Tocopheryl, Daucus Carota SativaSeed Oil, Vaccinium Macrocarpon Seed Oil, Parfum, Limonene, Linalool, Citral, Citronellol, Evernia Furfuracea Extract.